Javier Martínez-Ramírez is a Mexican composer and choral conductor. He studied opera, choral conducting and composition in the Faculty of Music of the National Autonomous University of Mexico (UNAM). He also took Byzantine Music classes in the Antiochian Orthodox Church. He received the first place in the First National Contest of Children’s Choral Composition (1999) and the second place in the Fourth National Contest of Choral Composition (2001). 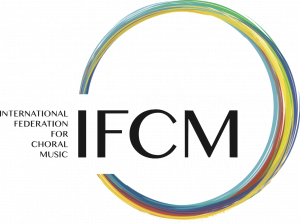 Some choral works have been edited by the Sistema Nacional de Fomento Musical and by the Fundación Coral México for the America Cantat IV Festival. He has been director of the School of Fine Arts of Toluca Choir, of the Ibero-American University Choir, of the St. George Orthodox Cathedral Choir and OMNES Ensemble Vocal Masculino.